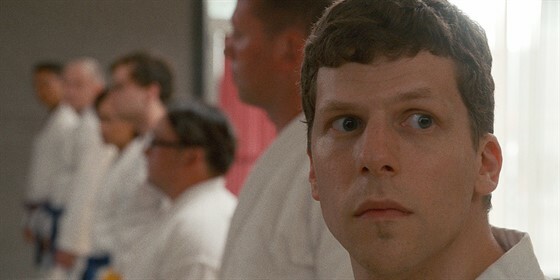 In this dark comedy set in the world of karate, Casey (Jesse Eisenberg) is attacked at random on the street. He then enlists in a local dojo led by a charismatic and mysterious sensei (Alessandro Nivola), and soon falls under his spell. Casey had hoped to learn how to defend himself, but what he uncovers is a sinister world of fraternity, violence, and hypermasculinity—and a woman (Imogen Poots) fighting for her place in it. Heundertakes a journey, both frightening and darkly funny, that will place him squarely in the sights of his enigmatic new mentor.